How royally refreshing! 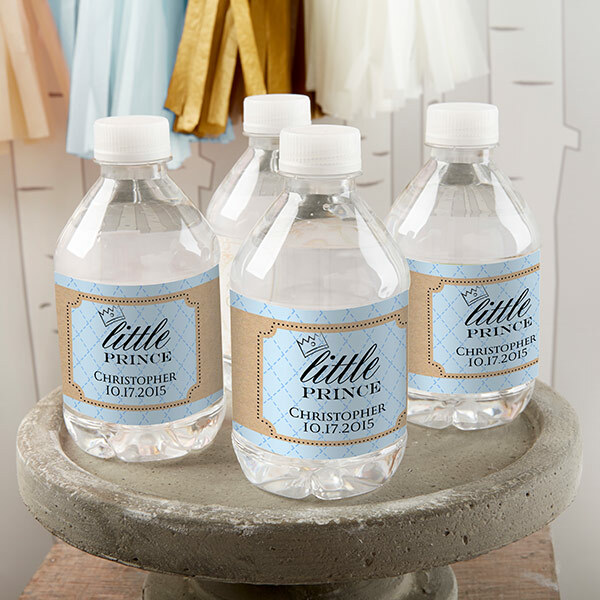 Kate Aspen's custom water bottles are just the thing for putting your own unique personality on display at your prince themed baby shower or birthday party. Wrap around water bottles, vases or other containers to create a decorative statement piece at your party. Choose from two crown-adorned designs and personalize them with baby's name, monogram or event details. The choice is yours!